Here's a tall order that only Sporto can fill: stay warm and dry while looking stylish at the same time. 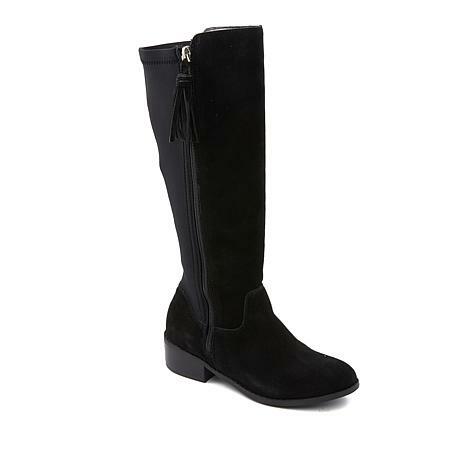 You'll love the coziness of this fashionable fleece-lined suede boot. The decorative tassel pull adds a fun and functional element to your look, while the waterproof design provides protection from the elements. So pull these over your leggings, grab your coat and head out the door. Beautiful boots. The wide foot-bed fit perfectly, but the calf with was not generous enough. Sadly, I had to send them back. 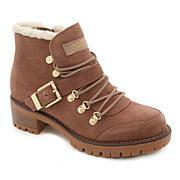 Extremely comfortable boots and lots of complements. Disappointed that they were not all suede....kind of strange back panel. Have not worn them in the rain so I dont know know if they are truly waterproof. The Navy is beautiful. I sized up because of the reviews I read but really didnt need to. For me they do run true to size. LOVE'em! 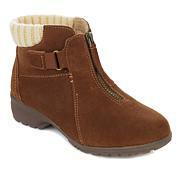 !They are very Stylish and Comfortable and warm. I have 3 pair, will be ordering a 4th pair. I suggest they make a dark green. 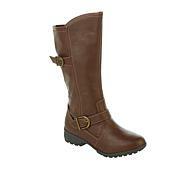 I love Sporto boots! This is my fourth pair! I wear them all the time!